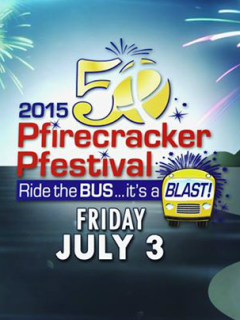 The Pflugerville Pfirecracker Pfestival will unleash a firestorm of fireworks over Lake Pflugerville during this free Independence Day event. Bring your own chair to stake out a spot or rent a kayak to watch the stunning display from the water. Before the launch, enjoy fun festivities beginning at 3 pm, such as live music on two stages, kids' activities, art, vendors and more. Please note that this Fourth of July celebration actually occurs on Friday, July 3.